We’ve been screaming it from the mountaintop since before the start of Trump’s presidency: All of these mainstream news organizations cashing in their storied reputations for the quick buck of sensationalist, pandering, leftist propaganda were going to one day wish they had stuck to objective journalism. Whether it’s the New York Times, the Washington Post, or even magazines like The Atlantic, there’s no going back after treading through the tabloid, fake news waters. And CNN is finding that out in steep fashion right now. According to the latest report from Nielsen Media Research, CNN’s ratings have sunk like a stone since Robert Mueller finished his investigation and proved that Trump was telling the truth all along: No collusion, no obstruction. “From April 8-12, the network only averaged an audience of 690,000 people and 180,000 in the key 25-54 age demographic. Their coverage last week included three presidential town halls with New York Sen. Kirsten Gillibrand, Washington Gov. Jay Inslee and Former Housing and Urban Development Secretary Julián Castro,” reads the report. That is a brutal number. They are losing not only to Fox News and MSNBC (which has stayed afloat by casting aside its pretend objectivity altogether and finding a niche audience), but also to such powerhouse primetime broadcasters as HGTV and the Food Network. Bafflingly, it seems there were still moderate, sober-thinking Americans turning in to see Anderson Cooper and Don Lemon every night, suffering under the misapprehension that they were getting a quality news broadcast. We don’t understand how that’s possible, but we guess you can’t underestimate routine. But now that those viewers have figured out that this network has been spewing lies at them for the last two years, they’ve finally turned the channel. We’re not sure it will be possible for CNN to ever lure them back. Especially since, from what we’ve gleaned, that haven’t learned the slightest lesson from their failed Mission to Take Down the President. Could this spell the beginning of the end for Ted Turner’s wildly-successful experiment to bring Americans a 24-hour cable news network? 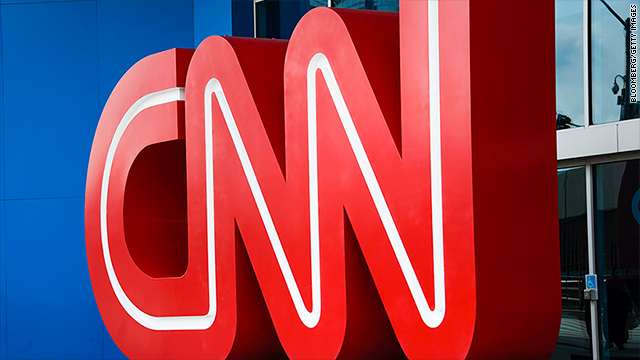 Well, they may survive in some form or fashion…for a while…but it won’t be long before CNN President Jeff Zucker is forced to make some tough financial calls. You can’t keep paying the likes of Anderson Cooper a monstrous salary when he’s not bringing in the ad dollars to justify the expenditure. Under other circumstances, we might lament the decline of a network that has been a defining feature of television since we were kids. But the truth is, the real CNN died a long time ago. The airwaves would be better off without the crap that flies under that banner today.